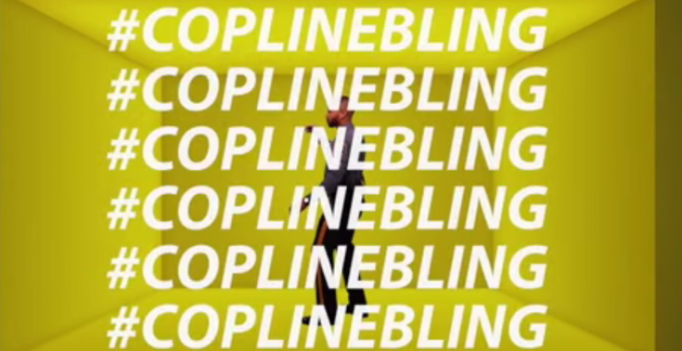 The University of Delaware’s Police Department on Friday launched a parody of “Hotline Bling,” an R&B song written and performed by the Canadian rapper Drake, at its Facebook page. Titled “Copline Bling,” the parody which was meant as a public safety reminder to students has already been viewed 700,000 times as of Sunday. “Copline Bling” begins with the line, “Call us on the blue phone, whenever you need our help.” Produced by the university’s public relations staff, the parody song features several campus police officers dancing and lip syncing as they promote the LiveSafe mobile app and the emergency blue-light phones located all over the campus. The university’s mobile phone app lets students text tips and photos to police and allows peer-to-peer location monitoring. It also has a group-chat feature called SafeWalk wherein users can share their location with friends and family and send out messages to alert them that they are about to walk to a new location. By following a link in the message, the recipients can in turn track the user on a map to make sure he or she makes it to their destination safely. Aside from the dancing and lip syncing police officers, the music video features YoUDee, the university’s mascot, in a cameo role as a masked bandit. YoUDee is a fighting Blu Hen Chicken, Delaware’s official state bird. The mascot’s colors are Gold and Blue. YoUDee was inducted into the Mascott Hall of Fame on August 16, 2006. He was also the 2002 UCA National Mascot Champion and the 2009 UCA Open Division Mascot National Champion. The University of Delaware’s 21 varsity teams are collectively known as the Fightin’ Blue Hens. They currently compete in the NCAA Division-I and in the Colonial Athletic Association (CAA). They so far already have won eleven CAA Championships. The Blue Hens have also won six national titles in collegiate football. The University of Delaware is the largest university in Delaware. Its main campus is in Newark and it has satellite campuses in Dover, Wilmungton. Lewes and Georgetown. Although a private university, it receives public funding for being a land-grant, sea-grant, space-grant and urban-grant state-supported research institution. Founded in 1743, it is now home to some 21,856 enrolled students.